The 1977 Formula One season was the 31st season of the FIA's Formula One motor racing. It featured the 28th World Championship of Drivers and the 20th International Cup for Formula 1 Constructors, which commenced on 9 January 1977, and ended on 23 October after seventeen races. The season also included a single non-championship race for Formula One cars, the 1977 Race of Champions. Niki Lauda won his second championship, despite Mario Andretti winning more races. Jody Scheckter's Wolf won first time out, Shadow took their only victory, and Gunnar Nilsson achieved the only win of a career ended by cancer. Renault entered Grand Prix racing with a turbocharged car which was initially not very successful. The German ATS team took over the Penske cars and the South African Grand Prix was the last race a BRM ever qualified to start. Lauda departed Ferrari even before the season ended, so did not complete the season, having already sealed the title thanks to his consistent form. Ferrari won its third consecutive Constructors' title with new driver Carlos Reutemann having a solid season. The season was also marred by one of the most horrific accidents in Formula One history. During the South African GP on 5 March, TV cameras captured how Tom Pryce was unable to avoid 19-year-old race marshall Frederik Jansen van Vuuren. The latter was killed by the terrifying collision, his body was hurled into the air, and his fire extinguisher killed and nearly decapitated Pryce, whose car proceeded to the end of the straight where it collided with Jacques Laffite's Ligier. There was further tragedy as Carlos Pace lost his life in an aviation accident only a couple of weeks after Pryce's accident. The 1977 season started in Argentina, returning after a year's absence. It was reigning world champion James Hunt who started off his title defence with pole position in his McLaren. Countryman John Watson shared the front row with him in the Brabham, and Patrick Depailler in the six-wheeled Tyrrell was third on the grid. The weather was, as was very often the case in Buenos Aires, oppressively hot, which contributed to the attrition of this race – the track temperature was 51 °C (124 °F). Watson took the lead at the start with Hunt second. Watson led for the first 10 laps until Hunt moved ahead and pulled away, with Mario Andretti's Lotus third, but soon the other McLaren of Jochen Mass took the place. Mass had to retire soon after with an engine failure which caused him to spin, and a suspension failure took teammate and race leader Hunt out three laps later. Watson took the lead again, but he also had suspension failures and let teammate Carlos Pace through. Watson eventually retired, and Pace struggled towards the end due to heat in his cockpit and was passed by Jody Scheckter's Wolf and Andretti, but the latter retired then with a wheel bearing failure. Scheckter took the first win of 1977, with Pace second, and home hero Carlos Reutemann completing the podium for Ferrari. The second round took place at the longest circuit of the year – the very demanding and difficult 5-mile Interlagos circuit in São Paulo, Brazil. Hunt took pole again with Reutemann second and Andretti third on the grid. Home hero Pace took the lead at the start, with Hunt dropping behind Reutemann as well but soon Hunt was back behind Pace and attacking. There was contact, and Hunt took the lead whereas Pace had to pit for repairs. Hunt led Reutemann until he began to suffer from tyre troubles and was passed by Reutemann. Hunt pitted for new tyres, and rejoined fourth and soon passed Niki Lauda in the Ferrari and Watson to reclaim second. Reutemann marched on to victory, Hunt was second and Lauda third after Watson crashed out. The race in South Africa was over a month later, but Hunt still continued his streak of poles, with Pace alongside and Lauda next. Hunt led off at the start, with Lauda and Scheckter following him after Pace struggled. The order stayed put until the seventh lap when Lauda took the lead and was never headed again, with Scheckter taking second from Hunt 11 laps later. On lap 21, two marshals ran across the track after the Shadow of Renzo Zorzi caught fire. The second marshal, Fredrik Jansen van Vuuren, carrying a fire extinguisher was hit by the car of Tom Pryce at about 270 km/h (170 mph) and was killed instantly by the collision. His fire extinguisher struck Pryce's face, killing and nearly decapitating him. The race continued however, and Lauda won, his first since his own horror crash last year, with home hero Scheckter second, and Depailler's six-wheeler took third from Hunt in the closing laps. The death of Pryce had shaken the field up, and then before the next round at Long Beach, California in the western United States, there was more bad news, as Carlos Pace, who had finished second in the opening round in Argentina, was killed in a plane crash. The field, in a somber mood, went to this relatively new street circuit near Los Angeles, and Lauda took pole ahead of home hero Andretti, with Scheckter third. At the start, it was Scheckter who got the best start, and he passed both Andretti and Lauda, with Reutemann going up an escape road and spinning as he tried to follow Scheckter through. The top three of Scheckter, Andretti and Lauda pulled away from the rest of the pack, and ran closely together but the order did not change. However, a tyre began to deflate for Scheckter, and both Andretti and Lauda passed him with two laps left, with Andretti thus taking a popular home victory ahead of Lauda and a disappointed Scheckter. The next round was in Spain, at the Jarama circuit near Madrid, where Andretti continued his recent form with pole and Jacques Laffite's Ligier springing a surprise, beating Lauda to second, however Lauda was unable to take part in the race due to a broken rib. At the start, Andretti took the lead with Laffite following. Laffite gave chase to Andretti in the early stages but had to pit with a deflating tyre, leaving Andretti to romp to victory with Reutemann second. Hunt inherited third but retired with a misfire, giving it to Watson until he lost places due to a spin, leaving Scheckter to take the final spot on the podium. In the elite Monaco race, Watson took his first career pole for Brabham with Scheckter also on the front row and Reutemann third. It was Scheckter who got the best start to beat Watson to the first corner, with Reutemann running third in the early stages until he was passed by his teammate Lauda. Watson ran second to Scheckter until mid-race when he had to retire with gearbox trouble, allowing Lauda to close in on Scheckter but the latter was flawless and held on to take his second win of the season. Lauda had to be satisfied with second, with Reutemann completing the podium. Belgium was host to the seventh race of the season, and in qualifying at the Zolder circuit Andretti took a comfortable pole with Watson just beating the second Lotus of Gunnar Nilsson to second. The race was wet due to rain earlier in the day, and Watson took the lead at the first corner, but later in the first lap, Andretti ran into the back to him while attempting to retake the lead, resulting in both of them spinning out and Scheckter taking the lead. Scheckter led the early stages ahead of Nilsson, whereas Reutemann made an early charge but spun off. The track began to dry and everyone had to pit for tyres, and those who stopped early were the ones who benefited, as now Lauda was leading from Jochen Mass and Scheckter was down to fifth. Mass spun off from second, handing it to Nilsson who then went on to catch and pass Lauda before driving away to his first career victory. Behind second-placed Lauda, Ronnie Peterson completed the podium for Team Tyrrell after Scheckter retired with an engine failure. The Swedish race at the isolated Anderstorp Raceway was full of anticipation after Nilsson's win last time out, but once again in qualifying, it was his teammate Andretti leading the way from Watson, with Hunt heading the second row. At the start, again it was Watson who led into the first corner followed by Scheckter, but soon Andretti passed both of them and opened up a lead. Watson and Scheckter battled for second until they collided, with Scheckter having to retire and Watson pitting for repairs. Hunt took second but he began to drop back and was passed by a charging Laffite, and then by his teammate Mass. Andretti however, was dominant until he had to pit due to a fuel metering problem with two laps left, handing the lead to Laffite who went on to take his first ever win ahead of Mass and Reutemann. The next race was staged at the newly extended Dijon-Prenois circuit in France, and once again it was Andretti on pole with Hunt second and Nilsson third on the grid. Hunt got the best start and led into the first corner from Watson and Laffite, with Andretti dropping down to fourth. However, Watson passed Hunt on the fifth lap and started to build a gap until Andretti got up to second and began to reel him in. During the final few laps, leader Watson and Andretti were running nose-to-tail but Watson held him off till the last lap when his engine missed a beat and immediately Andretti was past. Andretti thus took the win ahead of a crestfallen Watson and Hunt. British drivers had not much luck this season, so it was a relief to the British fans at the fast Silverstone circuit to see defending champion Hunt on pole for his home race with Watson alongside, and Lauda next. Hunt did not get a good start, and so Watson lead into the first corner ahead of Lauda and Scheckter, but as the race progressed, a recovering Hunt soon passed both to get up to second behind Watson. The race was set for a grandstand British finish with Hunt slowly closing down leader Watson, but the fans were robbed of it when Watson's fuel system failed with 15 laps left. Hunt took the lead and went on to win his first race of the season, with Lauda second. Scheckter ran third until his engine failed, thus giving the place to Andretti until he too suffered a similar fate, leaving Nilsson to take the final spot on the podium. The West German race took place in Hockenheim because the Nürburgring track was deemed to be too dangerous to race on because of the inability of the 'Ring's organizers to effectively manage such a huge circuit. In qualifying, Scheckter took his first pole of the season, ahead of Watson and then Lauda who headed the second row. Scheckter kept the lead at the first corner with both Watson and Lauda keeping their positions. Watson put pressure on Scheckter until his engine failed on the eighth lap, giving second to Lauda who passed Scheckter soon after and began to pull away. Scheckter battled for second with Hunt until the defending champion retired with an engine failure, giving third to Watson's teammate and home driver Hans-Joachim Stuck. That was how it stayed to the end; Lauda winning from Scheckter and Stuck. One notable highlight of the race involved German touring car legend Hans Heyer, who started the race despite failing to qualify. With two-thirds of the season complete, Lauda led the championship as the drivers went to the very fast and scenic Österreichring in Austria. This circuit had been modified from the year before – a chicane had been put in to replace the ultra fast, flat out Voest-Hugel Kurve. Lauda pleased his home fans further by beating Hunt to pole, with Andretti settling for third on the grid. The race started in damp conditions, and poleman Lauda led into the first corner followed by Hunt, but Andretti passed both at one corner soon after. His teammate Nilsson was on a charge and was rapidly up to second, whereas Lauda went backwards. Nilsson had to pit to change tyres, giving second to Hunt and this became the lead when Andretti's engine failed. The Australian Alan Jones in the Shadow was now charging up the order, passing both Scheckter and Stuck and as the race progressed, the recovering Nilsson and Lauda also passed the duo, however none of them could make an impression on Hunt. Hunt seemed to be headed for victory until his engine failed with ten laps left, giving Jones his first ever Formula One victory. Lauda took second and Stuck was third, both benefiting after Nilsson also retired with an engine failure. Jones's victory was so unexpected that the organizers did not have a copy of the Australian national anthem, so they played "Happy Birthday" instead (it was not Jones's birthday that day). The field went to the Zandvoort circuit near Amsterdam in the Netherlands for the next round, and in qualifying Andretti took his fifth pole of the season with Laffite alongside on the front row, and Hunt third. At the start, Hunt jumped both the front row starters to lead but before the end of the first lap, Andretti tried to drive alongside him but some aggressive defending from Hunt forced him to lift, and Laffite took advantage to get second. Five laps later, Andretti had got back past Laffite and was again attacking Hunt, who defended aggressively but this time Andretti did not lift and they collided. Hunt was out on the spot, whereas Andretti spun and rejoined fourth. This left Laffite leading from the Ferraris of Lauda and Reutemann. The latter had a long battle with Andretti for third, repeatedly exchanging places, until the Lotus driver's engine blew up. Soon after, Lauda passed Laffite to take the lead, and he went on build a gap and win comfortably. Laffite finished second. After Andretti's demise, Reutemann ran third until the second Lotus of Nilsson attacked him, and the two collided with Nilsson out and Reutemann rejoining at the back. This sensationally left Patrick Tambay in the Ensign third, but he ran out of fuel on the last lap, thus handing the place to Scheckter. This meant that Lauda had a 21-point lead over Scheckter with four races left. Italy was next on the calendar, but the fact that it was Ferrari's home race at the Monza Autodrome near Milan did not deter Hunt who took pole, whereas Reutemann cheered the home fans by starting second in front of Scheckter. Scheckter took the lead after a brilliant start, and in second place was Clay Regazzoni's Ensign who got an even better one. Regazzoni however did not have the pace and soon dropped down the order, whereas Andretti was on the move, passing Hunt on the second lap, and Scheckter a few laps later to take the lead. Hunt dropped back with brake troubles as the race progressed, and Scheckter retired when his engine failed, leaving Reutemann and Lauda in second and third. Lauda was soon past Reutemann, and the latter had to retire when he spun off on oil on the track, handing third to Jones. The race finished in that order; with Andretti taking a dominant victory from Lauda, who closed in on the championship, and Jones who took his second podium in three races. The scenario going into the second race in the eastern United States at the picturesque and fast Watkins Glen circuit in upstate New York was that if Lauda had a single point or if Scheckter did not win the race, Lauda would be world champion. Scheckter's hopes looked bleak as he qualified ninth to Lauda's seventh, as Hunt took pole from the Brabhams of Stuck and Watson. Stuck got the best start and took the lead into the first corner followed by Hunt and Andretti. 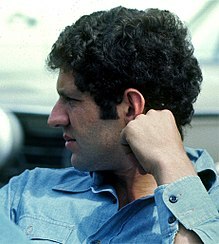 Scheckter was on a charge and passed many drivers, including Lauda, in the early stages to get up to fourth, which became third when leader Stuck crashed out. However, Hunt and Andretti continued to pull away from him and, with Lauda running fourth, Scheckter needed something extraordinary to happen to keep the title battle alive. That did not happen, as the rest of the race passed on without incident, with Hunt winning ahead of Andretti and Scheckter, with Lauda's fourth place enough to make him the world champion. After the race, Lauda decided not to race in the final two races because of the declining relationship between him and Ferrari. Canada was host to the penultimate round of the season at the fast and flowing Mosport Park near Toronto, and the field went in minus Lauda, who was unconvinced that Ferrari could prepare three cars efficiently for a Grand Prix – the third car was for Quebecoir Canadian Gilles Villeneuve in his debut race with Ferrari. In qualifying, Andretti took yet another pole ahead of Hunt, with Ronnie Peterson's six-wheeled Tyrrell in third. The safety of the Mosport Park circuit was under intense scrutiny, as the ubquitious bumps and limited safety of the circuit caused a number of nasty accidents including Briton Ian Ashley vaulting barriers and crashing into a TV tower. These accidents were dealt with badly and the severely injured Ashley was only flown out 40 minutes after he crashed. But the race went ahead anyway, and both Andretti and Hunt kept their positions at the start, with Hunt's teammate Jochen Mass charging up to third. Andretti and Hunt then proceeded to demolish the entire field, but they themselves were separated by nothing as they ran nose-to-tail. With less than 20 laps left, they came to lap third-placed Mass during which there was a misunderstanding between the McLarens who collided and spun off, Hunt retiring and Mass pitting for repairs and rejoining fifth. Andretti was left well over a lap ahead until his engine failed with three laps left, giving the win to Scheckter. Patrick Depailler finished second for Tyrrell, and Mass completed the podium. The final round of the season was in Japan at the fast Fuji Speedway near Tokyo, and Andretti and Hunt continued their late-season battle, with the American pipping Hunt to the pole, with Watson heading the second row. Unlike the previous year, the weather conditions at the Fuji circuit near Tokyo were perfect, and Hunt took the lead at the start, and Scheckter and Mass jumped up to second and third, whereas Andretti had a terrible start and was at the tail of the top ten. On the second lap, Andretti was involved in a collision while trying to gain places, putting him out. But this race, like South Africa was marred by terrible tragedy. Peterson and Villeneuve came together at the end of the straight, and Villeneuve crashed appallingly and his Ferrari flew into a crowd that was standing in a restricted area, killing 2 photographers and injuring several others. But the race continued on, and with Andretti out, Hunt had no challengers left and he built a large gap, with teammate Mass second and Watson passing Scheckter for third. However, both Mass and Watson had to retire within one lap of each other with engine and gearbox failures, and with Scheckter dropping back, Reutemann was second until he was passed by Laffite. Hunt went on and capped off the season with a comfortable win, whereas Laffite ran of fuel on the last lap, handing over second to Reutemann and allowing Depailler to complete the podium. The Japanese Grand Prix was not held again until 1987 at the Suzuka circuit – there had been talk of moving the race from Fuji to Suzuka for 1978, but this never materialized. Drivers' Championship points were awarded on a 9–6–4–3–2–1 basis for the first six places in each round. The best eight results from the first nine races and the best seven results from the remaining eight races were retained. * Hans Heyer started illegally and then retired his car after failing to qualify. Constructors' Championship points were awarded on a 9–6–4–3–2–1 basis for the first six places in each round with only the best placed car from each constructor eligible to score points. The best eight results from the first nine races and the best seven results from the remaining eight races were retained. ^ 1976 and 1978 Formula One results tables published in the 1977 and 1979 editions of the FIA Yearbook of Automoble Sport indicate that the FIA ranked competitors on equal points in the same championship position, regardless of race placings. ^ Constructors points were awarded on a 9-6-4-3-2-1 basis for the first six places in each race, however only the best place car from each constructor was eligible to score points. The best 8 results from the first 9 races and the best 7 results from the remaining 8 races were retained. Numbers without parentheses are retained points; numbers in parentheses are total points scored.